Now 4 years into the Crystal Ball Article series, it seems like each year it has gotten better and better despite the increasingly high expectations. 2018 was truly an amazing year for the prognostications with 14 of the 20 players recommended increasing their world ranking and 11 outright winning tournaments from eight different guys, with most of them being at 50 to 1 odds or better. The bar continues to be raised every year and every year I put in more and more hours researching as to not disappoint Team FGI. I look closely at every player in the world to try and identify who has the best chance to exceed expectation and possibly break-out with a win. I am still grinding on the 2019 edition and I will have that out in the next month, but for now I wanted to evaluate the 2018 article and the players featured. I have given a grade to each player based upon their overall performance throughout the year. Rickie Fowler- *For the second straight year the guy I had written up as my top player won the Hero World Challenge after I wrote it. Last year it was Hideki, this year it is Rickie. Nothing really changes, I still like Rickie in 2018, I just find it kind of crazy. I am thinking I will bet on the lead guy in next year’s edition. Trying to identify which of the very top players in the world are going to outdo themselves from the year before is not an easy proposition, because most everybody up top had great years last year. Fowler was featured in last years edition of this article and he delivered for us moving up in the world to #9, only missing two cuts all year, winning the Honda Classic, and finishing T5 at the U.S Open and PGA Championship. Statistically, Fowler is phenomenal in every area of the game: SG:T2G (16th), SG:Putting (2nd), SG:ATG (25th), SG: APP (38th), scoring average (2nd), BOB% (4th). You name it Rickie does it well, so why then does he not win more and why has he not won a major? Although I cannot give you a definitive answer I give you my word: he will. Remember how many times Sergio came close and folks thought he would never win? Well Rickie has been really close many times and it is not a matter of if, but rather when. There isn’t a lot of room to improve, although I think he will move up a spot or two in world rankings. I will predict that he gets his first major this year and honestly, I think it might be The Masters. I also think with as hot as he can get that he could string some big performances together in the FedEx Cup Tournament and win the $10M. If you are placing future bets, I would bet Rickie in all four majors and to win the FedEx Cup this year. As far as consistency goes, Rickie was outstanding in 2018 having only missed three cuts the entire year and none since The Players in June. A whopping 12 Top 15 finishes on the year and he was really close to winning at the TOC and of course The Masters where he came up just short and finished runner-up after I predicted a win in this article as you will see above. Still, without a win I cannot call this pick a win, especially since Rickie was always among the top priced players in DFS. He did not come through in any majors or the FedEx Cup as I predicted. I stand my prediction that Rickie will win a major and it will be in the next few years and I would take that to the bank. Patrick Reed- 2017 certainly was not a good year for Patrick Reed as he went from being ranked #8 in the world to now #23 with only four Top 10s on the PGA Tour and no wins. It is hard to tell whether the struggles were a result of the continuing family drama between his wife Justine and his parents and sister, but no doubt it has not helped. Reed started strong as he normally does in Hawaii at the Tournament of Champions(T6) and then at the Career Builder (T12), but then it went bad as he was unable to crack the Top 20 in his next nine events including three missed cuts. Two of the very few good performances during 2017 came at the US Open where he finished T13 and at the PGA Championship where he finished runner-up. This should come by no surprise because Reed has shown numerous times that he thrives on pressure and has the ability to deliver in clutch situations. The last part of 2017 we started to see some glimmer of hope as Reed finished T6 at Dell and three other Top 15s in the Fall. Reed was a member of my Crystal Ball Article:2016 and he had a big year. He was not featured in 2017 and he struggled. Hopefully this trend continues and he has a big 2018. Reed has dropped some pounds and is getting in a little bit better shape, which I think is very necessary. My prediction is we see Reed return to his form of 2015 and 2016 and we get a win, maybe even at a big-time event like a major. We obviously will not see him at the Tournament of Champions this year, but be sure to target him this season, especially at Career Builder, the Texas swing, and in Boston for the Dell Technologies. I love reading what I wrote the previous year and in Patrick Reed’s case we could not have been any more dead on. A win at the most prestigious golf event of the year would qualify as a “big-time event”. In addition to his Masters win, Reed also finished 4th at the U.S Open, T7 at the WGC-HSBC, T2 at the DP World Tour Championship, and was the hottest player in the world in between the Valspar and Wells Fargo where he went 2nd, T7, T9, 1st, and 8th. An incredible season for Reed as the family issues seemed to be put behind him allowing him to get back to the form we have seen in the past. In doing so he climbed from #23 in the world to #15 where he stands right now. Webb Simpson- Clearly not a new kid on the block, Simpson is now in his 10th year on tour having turned pro in 2008. Having been on tour for that long and being a household name you would think he would have more than four wins, although we all remember his U.S Open win at the Olympic Club in 2012. Before the putting anchor ban, Simpson was actually a really fine putter often ranking in the Top 40 in putting on the PGA Tour. Then in 2015 a year before the ban was to take effect, Webb switched the same putting style he had employed his entire time on the tour and the results were not pretty. In 2015 Webb ranked 174th in strokes gained putting and 177th in 2016, with the start of 2017much the same. Then on the practice green at TPC Sawgrass he started using a grip suggested by Tim Clark, that is part claw and part securing the shaft against his left forearm the way Matt Kuchar does and something clicked. The crazy thing is that I actually watched Webb Simpson on the putting green on the opening round at TPC Sawgrass this year, but I had no idea it might be the point that saves Simpson’s career. Since that point, Webb proceeded to take T16 at The Players that week and then recorded nine other Top 20s in only 15 events the rest of the year with zero missed cuts. He was forced to withdraw from his last event in 2017 (RSM) to be with his father in his final days of life. My expectations for Webb are lofty this year, including moving into the top 35 in the world with six Top 10s, and a win. It might behoove you to put a couple bucks on a top ten and an outright win at the Wells Fargo at Quail Hollow (his home course) as soon as those odds become available. Another one we hit right on the screws as Webb parlayed his success with his new putting style into a Top 20 in the world ranking (#43 to #18 now). Big performances at Sony (T4), Honda (T5), Valspar (T8), RBC Heritage (T5), U.S Open (T10), Wyndham (T2), BMW (T6), Tour Championship (T4), and RSM (3rd) plus he only missed two cuts all season so he offered a huge ceiling for us as well as a super high floor. The ultimate highlight for him and us however came in May at TPC Sawgrass for The Players Championship where he went wire to wire to win easily and fuel us to a monstrous 80-1 win. Personally, that was my biggest outright win of the year as I cashed nearly a $20k ticket. I also heard from a ton of Team FGI members who collected a ton of money at the pay window as well. Simpson has emerged as one of the elite players in the world and I do not see that changing now that his putting is just as dominant as his ball striking. Thank you Webb, we will forever be grateful! Thomas Detry- Last year I recommended a 24 year old Belgium golfer who attended the University of Illionis (Thomas Pieters) and that worked out well, so why not try it again. In all seriousness, I have been following Detry since he was on the Challenge Tour in 2016 after being the Big Ten golfer of the year at Illinois in 2015. He recorded five Top 10s on the Challenge Tour, including a win at the Bridgestone Challenge before he qualified for the European Tour in 2017. It wasn’t a season without struggles as Detry missed nine cuts playing with the big boys, but we did see some glimpses of the talent that this kid possesses. He finished 3rd at the Alfred Dunhill and runner-up at the BMW International. Detry isn’t a big time bomber like Pieters, but he isn’t short off the tee either, ranking 90th in driving distance. Where his game shines is in his approach game. If he is to ascend to a Top 100 player in the world, he is going to need to improve his putting, where he ranked near the bottom on the Euro Tour. Given that he now has a year under his belt of competing against the top players in the world, I believe we see him climb in the world rankings and be in the mix with a chance to win on the European Tour. A huge climber in the world rankings (#205-#140) I feel like if we had another couple of months in 2018, Mr. Detry would have provided us a win. He came close a few times and was playing much better toward the tail end of the year having recorded a T7 in Denmark, T3 at KLM, T3 at Turkish Airlines, and 7th at Nedbank, all within the last few months. Certainly not the model of consistency, Detry missed 7 cuts, which is can be expected from a young player. Still only 25 years old, I have no doubt that he continues his ascension in the world and gets into the win column soon. He is certainly not worth of an A because he did not win, but a solid B I think is fair. Austin Cook- Well I think the cat is officially out of the bag on Austin Cook at least with the avid DFS golf player, but that doesn’t mean that Cook will be massively owned once the laymen come over from DFS football. I featured Cook as one of my Top Players to Target in the Fall article and said “be sure to get him on your rosters early and often”. I was very pleasantly 474surprised to see his ownership be 9%, 6%, and 8% respectively at Shriners, OHL Mayakoba, and RSM Classic, most of which I am sure was Team FGI. He made all three cuts and dominated at the RSM for his first tour victory. Cook turned pro in 2014 and made an immediate impact in the few events he played on the PGA Tour in with a T13 at FedEx St Jude, T6 at Barbasol, T11 at Shell Houston Open, and T7 at RBC Canadian Open. Last year on the Web.com Tour he recorded thirteen Top 25s in 22 events played, including seven Top 10s. We did benefit from being some of the very few on him in the Fall and I still think there is an opportunity for us as there are a lot of people who do not pay attention to Fall golf that will be playing DFS golf come the new year and springtime. In 2018 Cook will provide us a consistent cut-maker with a lot of Top 25 upside and the chance to compete for another tour win. Although Cook demonstrated a ton of consistency from week to week, he lacked the big upside finishes that I was hoping for. A T6 at St Jude, T5 at Greenbrier, and T11 at RSM were all he had for big finishes. He went from #144 in the world at the start of the year to now #111, so he improved, just not at the rapid pace that I was hoping. Cook is a player who I usually target on shorter courses where length does not hinder his game. I believe his approach game is what stalled his upside in 2018 as he ranked middle of the pack in SG:Approach, whereas he really should be top quartile. His putting was the usual really good and he ended up ranked 37th in SG:Putting. If he can get back to a solid approach game it will allow him to be in contention especially on certain courses. Bryson Dechambeau- A member of my Crystal Ball Article:2017 and like I said in my Crystal Ball Article:2017 Report Card, it was a tale of two seasons for Bryson. He started the season off with 11 missed cuts in his first 16 events as he struggled horrendously with his putter. He even resorted to the weirdest putting stance I have ever seen where he literally stood facing the hole and putted the ball on his right side. Something clicked however in June at The Travelers and he became the stud that I thought he would be for the remainder of the year. He won at John Deere and in the three events he played in the Fall he went T17, T7, T14. In those three events he was 2.086 in strokes gained tee to green (7th on Tour). DeChambeau is a highly decorated player and a student of the game with some quirks. Like having all of his irons and wedges cut to exactly the same length, 37.5 inches. I think his biggest issue is that he overthinks things and gets into his own head too much. He has come out and said that he is going to try and shelf the constant tweaks to his swing and just play golf and I think that is going to mean good things for a guy with talent coming out of his ears. A handful of Top 10s and a Tour win would be what I would consider a satisfactory season for Dechambeau. I could easily put about 10 more +’s behind his grade for 2018 as it would be almost impossible to have a better season than he did. Four outright wins for us and three of them at outstanding odds, we cashed the most tickets on Bryson as anybody we ever have in one season. The Memorial win (55 to 1) was extremely lucrative as that was kind of when he first demonstrated he could win in a loaded field. DeChambeau’s world ranking went from #99 at the beginning of the year to #5 right now. He is easily one of the elite players in the world right now and a threat to win every time he steps on the course even on a huge stage with strong fields. I predict that Bryson will be the face of golf over the next decade with his quirky habits and interesting game plans. He is a fascinating personality that the PGA Tour will be rewarded for featuring for years to come. 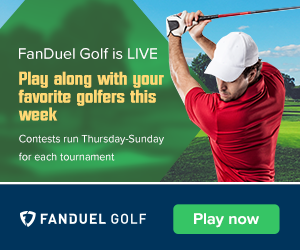 Julain Suri- If you have been playing European Tour DFS then you know Suri, but if not, let me fill you in. Suri played his college golf at Duke where he was an All-American. He has bounced around tours since he turned pro in 2013, most recently playing on the Challenge Tour in 2016 before cracking the European Tour in 2017. It did not take long for Suri to make an impact as he took runner-up at the Open de Portugal. Not long after that he recorded his first victory at the Made in Denmark. Not only did Suri demonstrate big upside, but his cut-making consistency was incredible considering it was his first year on Tour only missing 3 cuts (1 being The Open Championship). His last five events that he played in 2017 Suri finished T8 three times and runner-up once. He is long off the tee averaging 300 yards and he ranked in the top half of the European Tour in accuracy. The mainstream golf crowd will begin seeing Suri more in 2018 as he starts playing in more high-profile events. Sometimes when I target young players with tremendous upside, I run the risk of it being to early for them to hit their ascension and that is what happened with Julian Suri last year. I still believe at age 27 that he will become a Top 40 type player in the next couple years, but for 2018 I missed. Suri started the year ranked #63 and ended #83 and did not record any wins. He did show some upside with a T2 at the Open de France, T5 at the British Masters, and even a T8 at the Houston Open as he played a handful of events on the PGA Tour. In seven PGA events he made six cuts and also performed respectably at the Open and PGA Championship (T28 and T19). We need guys to win so we can hit outrights and we didn’t get one from Suri, so I give myself a below average grade here. Aaron Wise- A member of my Crystal Ball Article:2017 and Newcomers to Target on the PGA Tour this Fall, I feel like I have been watching him for a long time, but it was only 2016 that he turned professional after winning the NCAA Individual championship and led the Oregon Ducks to the team championship. After school Wise played on the Mackenzie Tour (Canada) where he won twice and never finished outside the Top 15 in seven events played. In the 2016 season the highlights for Wise were a T10 at Shriners and a T16 at John Deere. We also saw Wise on the PGA Tour twice during the 2017 season and he made both cuts (T71 at Farmers and T34 at Career Builder). In the Fall (2018 season) he made three cuts out of the five events he played and took T25 at Sanderson Farms, T32 at Shriners, and T13 at RSM. Wise is only 21 years old and I want you to keep him on your radar. I would not be surprised if he has stretches of troubles in 2018, but I also think he is going to have some flashes of his elite talent. We might see him at 100 or 200-1 in some tournaments this season, which might be a chance to put a couple bucks on him. In DFS he will be in the low $7k range in most tournaments to start and I think that presents a nice opportunity for us. From #223 in the world to #49 and a T5 at the Northern Trust then back to back runner-up at Wells Fargo and win at AT&T Byron Nelson made for a big season for the young player. It was a nice 35 to 1 hit on him at Byron Nelson and very nice in DFS as he was only owned by about 6% of the field throughout GPPs despite the fact that he recorded a runner-up finish in his previous outing. Wise hit a bit of a wall after his big win and actually missed five consecutive cuts after that before bouncing back with a T6 at the WGC Bridgestone. From that point on he played really solid with a nice showing in the FedEx Cup Playoffs and a T15 and T10 in the Fall swing season. Even though he had a huge 2018, the best is still yet to come for Wise and I would continue to bet him in outright especially when his value seems low. Martin Kaymer- The fact that this guy has not won an event since 2014 boggles my mind. After a sub-par 2016, Kaymer followed it up with an even worse 2017 where he finished in the Top 15 only three times. Not a young buck anymore, but not exactly ancient, Kaymer turns 33 this year. His 2014 U.S Open win at Pinehurst remains one of the most dominant performances I have ever seen. Since then however he has been unable to claim the world dominance that he had when he won The Players and U.S Open with a month of each other. Most folks don’t remember that Kaymer was actually the #1 ranked player in the world for eight weeks in 2011. After that however he fell outside of the Top 50, so Kaymer has been through this kind of slide before and come back from it. His 2017 was riddled with inconsistency and then a shoulder injury that hindered him late Summer. Kaymer will play predominately on the European Tour, but will also make appearances on the PGA Tour as well as the majors and WGC events (as long as he plays better). I was encouraged by his last four tournaments of 2017 where he made every cut and posted finishes of T27, T30, 5th, and T17. Not exactly world dominance, but hopefully it is a sign of positive things to come in 2018. Kaymer simply has too much talent to be lingering outside of the Top 70 players in the world. This year is going to be a big year for him and I think he gets back into the winner’s circle and climbs back into the Top 50 in the world. Martin, Martin, Martin how I love you, but also hate you. For those of you who have been a part of FGI since the beginning, you know how much Kaymer has won us in the past. I felt like 2018 was going to be a rebound year for him as he showed many positive signs at the end of 2017. He looked to be fully healthy coming into the year and there is no doubt he played below his talent level for most of 2017 and struggled with a bad wrist. I was obviously wrong as Kaymer continued to plummet in the world rankings and now is all the way down at #164 in the world which boggles my mind for the talent he possesses. Exactly three highlights for Kaymer the entire year included a T8 at the Italian Open, T2 at BMW International, and T5 at Turkish Airlines. If he could have pulled one of those out it would and we could have snagged an outright it easily would have covered our losses on him, but unfortunately it was not meant to be. I wish Martin success in the future and would not be surprised if he is able to make a comeback, I just cannot continue to bet on him until it happens. Beau Hossler- At the age of 16 Hossler played in the U.S Open at Congressional. One year later he not only played in the U.S Open but he held the outright lead midway through the second round and finished 29th. Hossler also qualified for the U.S Open in 2015 and took T58. He played his college golf at Texas where he played through his junior year before he decided to turn pro in 2016. In 2017 Hossler played a mixture of Web.com events and PGA Tour events. He had mixed results on the PGA Tour throughout the Spring and Summer, but in the Fall he really turned it on. In five events he made every cut including Top 10s at The Shriners and Sanderson Farms. In the 8 PGA Tour events he played before the Fall season Hossler was -.461 in Total Strokes Gained. During the Fall season he was .171. I think part of that is the competition level, but I think it is also due to him improving as a player and becoming more comfortable playing on the Tour. Anyone who had two U.S Opens under their belt by the time they were 17 is not going to melt under the pressure like others might when on the big stage. Hossler has been competing with the big boys for what seems like a long time now, but he is only 22 years old. I expect a ton of made cuts, and several Top 10s from Hossler this year. I am not sure he is ready to win on the PGA Tour, but who knows he might notch a victory this year. Climbing over 200 places in the world, Hossler went from #303 to #88 over the course of 2018. Three close calls to getting us paid with outrights, Hossler had a T6 at Quicken Loans and runner-ups at Houston and Travelers. Hossler was pretty consistent only missing six cuts, which is not bad for a young player. What made Hossler so valuable was his low $6k-$7k price on Draftkings for most of the year, which provided us a ton of value. I foresee Hossler continuing to improve and possibly get into the Top 60 or 70 this year. Alexander Bjork- Only 27 years old, Bjork has been playing professionally since 2009. He began in the prestigious Nordic Golf League, but then moved to the Challenge Tour where he started to emerge as a Top 300 player in the world. In 2016 he recorded six Top 10s on the Challenge Tour and qualified for the European Tour in 2017. In his rookie season he posted eight Top 15 finishes with a T3 at the Open de France and a T2 at the UBS Hong Kong Open in November. Almost always priced in the low $7k range on Draftkings, he is an excellent option with high upside in Euro Tour DFS every week. I believe he gets a win this season on the European Tour, and we will see him in The Open Championship. Certainly a good option for outright bets and GPP action, not so much for cash games on the European Tour. Bjork played in 26 events in 2018 and missed nine cuts, but posted nine Top 15 finishes. He moved from #109 in the world to #62. The reason he gets an A is his huge win at the Volvo China Open, which cashed us a really nice ticket. Bjork was also really close to paying us off again at the British Masters. A real talented player with a ton of upside and usually given generous odds, he is a guy I will be continuing to bet week on the Euro Tour. Daniel Berger- If you can predict how Daniel Berger is going to play on a week in and week out basis outside of the FedEx St Jude Classic, please email me your contact info, because you might be the only person on the planet, including Daniel Berger. Unlike other young successful players on the tour, Berger started playing golf relatively late at age 11 or 12. As a matter of fact he didn’t even play golf in high school. He did however play college golf at Florida State where he tied for second at the 2013 NCAA Championships. After that he turned pro immediately and began playing on the Web.com Tour where he finished 15th in the standings and earned his way onto the PGA Tour for the 2014-2015 season. He has won twice on tour both being the FedEx St Jude Classic that I referenced earlier. He also has had some real close calls finishing runner-up a handful of times. Surprisingly he missed the cut at both the U.S Open and PGA Championship, took T65 at The Players, and wasn’t all that impressive throughout the FedEx Cup playoffs. He is a fine putter, but he excels in his tee to green game where he has not ranked outside of the Top 35 in strokes gained tee to green during his time on tour. In 2018 I look for Berger to be a bit more consistent with his finishes and predict he wins again, who know maybe he a can pull the three-peat. The way 2018 started for Berger I was very confident we would have an A+ grade on our hands. T11 at Sentry TOC, T14 at Sony, and T11 at Waste Management and he was off to a roaring start. He also added a couple more Top 20s at WGC Mexico and the Houston Open, but outside of an outstanding and out of the blue performance at the U.S Open where he finished T6, it was mostly negative the rest of the year. He did manage a T12 at the PGA Championship and T15 at Northern Trust, but no wins and he was never really in contention, so we hit no outrights and were not even in position to hedge. Berger ended up falling from #28 in the world to #57. In his short career so far Berger has four runner-up finishes and two wins, so the talent is obviously there, I am just at a loss as to what happened in 2018. Andrew Landry- Do you remember the guy who qualified for the 2016 U.S Open at Oakmont via a local qualifying round in North Carolina then sectionals in Tennessee, then proceeded to shoot a 4-under, 66 to lead the tournament after day 1? That was this guy. He was ranked #624 in the world at that time and I remember wondering “who in the world is this guy” as I watched him deal with the horrible weather conditions and play brilliant golf that first day. In the second round of that tournament he shot a 71 and found himself in the final group for the 3rd round, one stroke behind Dustin Johnson. He proceeded to shoot a 70 in the third round, before coming back to earth in the final round shooting a 78. Still, he finished T15 for the week, which was absolutely amazing. Since that point he has had some PGA Tour appearances, where he did record a T8 at John Deere, but mostly on the Web.com Tour. 2017, he absolutely tore up the Web.com Tour with eight Top 10s, including a runner-up and a win. He qualified for The PGA Tour and carried over his fine play and notched a T7 at Safeway in his first event. HE then had a T59 at Sanderson Farms, missed the cut at Shriners, and withdrew from OHL Mayakoba (weather related), before he snagged a T4 at RSM to close out the Fall season. Landry has a solid overall game averaging 300 yards off the tee, ranked 12th in driving accuracy and 24th in greens in regulation on the Web.com Tour last season. It might not be a year completely free of struggles as this is his first full year on Tour, but I do not expect him to be overwhelmed, because he has been here before. He will be dirt cheap in DFS and nobody is going to own him, so I would be mixing him into your GPP lineups as soon as possible this year. Pretty much anytime a guy hits an outright at triple digit odds, the rest of his season results do not matter as much. Landry is a great example of that as he won the Valero Texas Open and for a small investment I had a monster pay day. This is also a great example of sticking with our guys no matter what their current form is as Landry came into Valero have finished T42 and missing four cuts in a row. This helps contribute to the large odds that we received. Outside of Valero, Landry also had a runner-up finish at Career Builder and a T8 at Quicken Loans and that was really it. He made seven of his last eight cuts and climbed from #172 to #104 in the world. I love mixing in guys into this article every year that I feel have the potential to crack a triple digit odd payday and wow is it sweet when it happens. J.J Spaun- It has been a bit of a rocky road for Spaun since he joined the PGA Tour in Fall 2016. Since then he has five Top 10s, but also has eleven missed cuts/withdrawals. A San Diego State product, Spaun played on the Canadian Tour for three years starting in 2013 before moving to the Web.com Tour in 2016. There he blossomed with six Top 10 finishes, including two runner-ups and a win at the News Sentinel Open. Earning his PGA Tour card in Fall 2016, Spaun made three out of five cuts, but his best finish was T28. His first splash on Tour was in his home state for The Farmers where he recorded his first Top 10 on tour with a T9. He then followed that up with a T4 at the Waste Management Open. Spaun dealt with a rib injury which forced him to withdraw from Dean & Deluca and The Memorial back to back and then proceeded to miss three cuts in his next four events. After he recovered however, Spaun made eight cuts in his final nine events of 2017, including a T10, T14, and 2nd consecutively this past Fall. Off the tee is where Spaun is really strong (45th in 2017), it is around the green (171st) and putting (111th) where he struggles a bit. This past Fall he improved his around the green play (58th), now he just needs to improve the putting. I think both areas of his game will improve having more experience on Tour and more familiarity with the greens and courses he plays. Keep in mind, most every event in 2017 was his first time playing the course. He now sits at world ranking #120 and I think he pushes toward #100 this year. I think he gets his first appearance in the winners circle this year as well. It would be wise to target Spaun early in the season on the west coast swing where he is most comfortable with the courses and the POA and bentgrass greens. If you hadn’t noticed J.J Spaun is a bit of a boom or bust play ever week. In 2018 he nudged his way up in the world rankings from #116 to #109. He missed nine cuts and posted three Top 3 finishes. A couple of those I was able to cash in on in betting and also in DFS. Spaun played really consistently strong golf throughout the Fall with a T10 at CJ Cup, T15 at Shriners, T3 at Mayakoba, and T37 at RSM, of course much of that had to do with the fields being less than loaded. The great part about Spaun is that his price in DFS is usually always in the low $7k to even $6k range, so taking some chances in GPPs is a solid strategy. Spaun is average long off the tee, but it is his accuracy both of the tee and approaching the green that gives him the ability to compete. I like to target Spaun on courses with tight fairways and small greens, that are penal to players who are inaccurate. Harbourtown would be a good example, but he has also shown that he can compete on longer courses as he has played well at Torrey Pines the last two years with a T23 and T9. A solid year, but not a huge outright win for Spaun, so we will have to wait and hope for one in 2019. Because he did not replay the putt, he was assessed a two stroke penalty. To add insult to injury because he did not know that he signed an incorrect scorecard costing him another two strokes. All told, a four shot penalty. After the Sunday debacle Southgate plummeted 11 spots to number 20. Still with a chance to qualify in the Web.com finals, Southgate missed the cut and likely missed his chance on the PGA Tour because of a blowing leaf. Crazy, Crazy, Crazy. I was a bit afraid that this incident might ruin Southgate and his career as he missed his next two cuts on the European Tour. He did however rebound with a T24 at the WGC-HSBC and a T11 at The Turkish Airlines to close out his year. I am confident that Southgate can put that unfortunate event behind him and continue on the upward trajectory his career has been on the last couple of years. I think he gets a win this year on the European Tour, improves upon his #127 world ranking and don’t be surprised if we see him the PGA Tour in 2018. Minimal highlights for Matthew Southgate in 2018 as he fell from #132 to #177 and had minimal times where he was in contention. A T9 at NB Oman Open, T5 at Open de France, and T10 at Nordea Masters where about it. He wasn’t miserable as he had a bunch of Top 30 finishes, just nothing to win us any money in DFS our betting, which is the name of the game. Not much more else to say other than Blah. Chris Kirk- One of many Georgia Bulldogs on the PGA Tour, Kirk was a part of the 2005 National Championship team alongside fellow tour member Kevin Kisner. 2017 proved to be his worst season since joining the PGA Tour in 2011. Having a victory in each year from 2013-2015, he now has not won since the Crowne Plaza Invitational in May 2015. In 2017 he found himself in the Top 10 just one time and that was his last appearance on his home turf at The RSM Classic. If you follow Kirk’s statistics I guarantee you will wind up scratching your head like I did. First lets take a look at his rank in SG:Putting from his rookie year through 2017. In 2011-147th, 2012- 140th, 2013-17th, 2014-22nd, 2015-90th, 2016- 98th, 2017-125th. I am not sure I have ever seen such inconsistency in a particular part of somebodies game. His tee to green game has been consistently pretty good throughout his career with the exception of last year. 2011- 40th, 2012- 66th, 2013- 43rd, 2014- 50th, 2015- 58th, 2016- 35th, 2017- 129th. I did some digging into Kirk’s personal life to see if I could find an explanation for his porous 2017, but it appears everything is good with him and he just had his third child this past Summer. The question becomes can Kirk return to the success that he has had on the tour the first five years of his career or will it go the direction of his other Georgia teammate Brendan Todd? I don’t think he will return to his Top 20 in the world play that he possessed in 2015, but I think he responds in 2018 and we see him return back to the Top 100 in the world (now #175). He will certainly provide us some juicy odds for our future wagers and cheap price in DFS. Kirk has had a lot of success on the Texas swing in the past so that would be a great time to target him, but I think you can safely include him in your DFS cores starting early in the season. Chris Kirk returned to the cut-making specialist that we have seen from him in the past and only missed five all year. For certain stretches he was very good and for some stretches he was very average. He did have a handful of highlights including a T10 at Sony, T11 at Waste Management, 13th at Arnold Palmer, T8 at Valero, T11 at Fort Worth, T6 at St Jude, and T11 at Wyndham. All of these were great finishes considering his low price for most of 2018 on Draftkings. Still, I was hoping he could get back in the winner’s circle as he has four previous times on the PGA Tour. The start of the year my hopes were raised with his play and during the fall season I was very disappointed, especially considering the field strength. He improved from #187 in the world to #162, but I was hoping for more. Still one of my favorite players on tour and along with Martin Kaymer one of the guys who has won me a lot of money in the past. His approach game can be so good that if he could not hurt himself so bad off the tee and on the greens, he has a chance. The best place to target Kirk is on wider fairways, where the greens are on the slower side, and generally Bermuda. Peter Uihlein- One of my favorite plays in European DFS has not translated his worldwide success to U.S soil, but he inevitably will. As he qualified to play on the PGA Tour in 2017, he had some legitimate finishes including a T5 at the Puerto Rico Open, T23 at Shell Houston Open, T25 at The Memorial, T10 at CIMB and T5 at WGC HSBC this Fall. Uihlein has a storied golf career as he was an All-American at Oklahoma State, won the Ben Hogan Award given to the best college golfer in the nation, and won the U.S Amateur in 2010. After he left college he went to the Challenge Tour in 2013, and worked his way up to the European Tour in 2014. Once a roommate with Brooks Koepka when they were playing on the European Tour together, it has been a slower ascension for Uihlein. He qualified for the PGA Tour last year via the Web.com Tour making it four tours that he has played on the last several years, so he has definitely paid his dues. In 2017 he recorded seven Top 10s worldwide between all tours and you just can’t do that without being a bigtime talent. We are going to see this talent translate onto the PGA Tour and into major events. He is only 28 years old and hasn’t made a splash yet like guys younger than him named Spieth, Thomas, Koepka, or Matsuyama, but that does not mean it is not going to happen. Keep rostering him in Euro Tour DFS and start utilizing him when he is available to the mainstream DFS players because he will not be heavily owned. Also, placing a couple future wagers on him might not be a bad move either. I have a bit of a love/hate relationship with Mr. Uihlein and the majority of the time it leans toward hate. Still not even 30 years old although it seems like he has been around forever, Uihlein is so damn talented, I am shocked he has not made a bigger impact in professional golf (yet). 2018 clearly was not the year for him to do that as he fell from #52 to #79 and underwhelmed his backers most of the time. His two Top 5 finishes at Wells Fargo and Memorial within a month had us thinking this might but it, but alas he strung together four missed cuts and we were disappointed yet again. Just to tease us he posted a T12 at Dell Technologies and left us with a T7 taste in our mouth his last time out at RSM. I still believe he has plenty of time to emerge as a Top 40 type player in the world, but 2018 was not it. Kevin Tway- The son of Bob Tway (eight time winner on the PGA Tour), is another Oklahoma State Cowboy. He played on the PGA Tour in 2014, but then lost his tour card and dropped down to the Web.com Tour in 2015 and 2016, before qualifying again to play with the big boys. It wasn’t a great 2017 for Tway, but it wasn’t a complete disaster for him either. He played in a whopping 26 events, yet he only missed six cuts. On the other side of the coin however he only had two Top 10 finishes as well. Tway has a pretty solid overall game ranking 84th SG:T2G, 51st in SG:Putting, 52nd in SG:OTT, and 89th SG:ATG. His biggest struggle last year was his approach game where he ranked 142nd, but in his limited events this Fall he ranked 66th. Some players come onto the tour and make a big splash with a victory, but are generally inconsistent. Tway is the opposite. In his first real full season on tour he showed consistency by making a ton of cuts, but just didn’t pop in many events (outside his T3 at Valero and T5 at Wells Fargo). He is a monster on Par 5s, partially because he bombs it off the tee (10th on the PGA Tour) so in events that favor that statistic, he should probably be included in your core. This year he is going to take a step forward and start to turn those T30 and T40 finishes into T15 finishes and possibly more Top 5 finishes. I think he has a chance to win as well. He is currently ranked #191 in the world, but I believe he is a far better player than his ranking. A giant year for Kevin Tway as he climbed from #191 in the world to #91 and gave us a ton of outstanding performances that helped us tremendously in DFS. Outside of three missed cuts early in the year, Tway only missed two after Valspar, which is incredible. He has become one of my favorite DFS plays because he is usually cheap, seldom highly owned, provides outstanding cut-making consistency, and big upside. A total of eight Top 25s and three Top 10s, including a monstrous 50 to 1 score for us with his win at Safeway. His win kind of was the cherry on top of a great, money making year for us. Patton Kizzire- It was not a good 2017 Tour season for Kizzire as he fell from #90 in the world to #125. Tour season 2018 has started considerably better however and I think it will propel Kizzire back to the level that we saw when he first came onto the PGA Tour in Fall 2015 and posted back to back Top 5 finishes. He continued that solid play into 2016 as he recorded three more Top 10s throughout the season. 2017 Kizzire struggled mightily as he missed 14 cuts and pretty much struggled in every phase of the game. He ranked 159th in SG:T2G, 182nd SG:OTT, 114th SG:ATG, and 128th SG:P. Being 6’5” you would think he would be longer off the tee, but only barely ranks inside the top half of players on tour in driving distance. In the Fall Kizzire made dramatic improvements in all areas ranking 47th in SG:OTT, 54th in SG:T2G, and 34th in SG:P. The statistics were indiciative of his results as he notched his first Tour victory winning in Mexico at the OHL Mayakoba Classic, but also had two Top 10s before that at Shriners and Sanderson Farms. So many times we something just click in guys games and take a talented player to the next level and I think that happened with Kizzire. He is too talented to be floundering on tour and 2018 is going to propel him to the next level of players on the PGA Tour. It took us all of two weeks to cash our first big ticket of the year last year as Kizzire gave us a 70 to 1 winner at the Sony Open in Hawaii. I remember being surprised at how large the odds were considering he had just won the previous fall at Mayakoba. A $7,000 ticket for me to open the year and we really just kept growing it throughout. Unlike us however Kizzire on the other hand did not continue to do well throughout the season. He missed ten cuts after that, including four in a row between The Masters and The Players. I will say that he started playing better toward the end of the season and didn’t miss a cut after the PGA Championship. He closed out his season with a T15 at RSM. Generally, I like to only target Kizzire on courses with forgiving fairways, but Sony is certainly not one of them and he conquered Wailea CC, so who knows. Overall, he moved up from #121 to #99 and even though he wasn’t consistently good for us throughout the year in DFS anytime guys cash a 70 to 1 ticket for us, they get a top grade. If I had to guess, I would say Kizzire continues to climb the world rankings, but I wouldn’t think it will be a rapid ascention. He is a very good player, but I don’t think I would consider him elite. Kramer Hickok- If you followed Hickok’s performances on The PGA Tour the lasts couple of years you would not be impressed: Shell Houston Open = missed cut, Dean & Deluca = missed cut, AT&T Byron Nelson= missed cut, so then why am I featuring him in this article? Well, he lives with Jordan Spieth in Dallas and frankly I am hoping some magic rubs off on him. In all seriousness, to his own admission, living with his fellow Longhorn watching Spieth’s success and work ethic has inspired Hickok to work harder. According to an interview with PGATOUR.com Hickok explains “he wanted to be the first one up and the last one to come home so then, if things didn’t work out in 2017, at least he could say he worked harder than Spieth.” He says. “I saw Jordan’s success and my lack thereof, and it really motivated me.” The hard work clearly paid off as Hickok went on a tear on The Mackenzie Tour (Canadian) with three runner-up finishes and two wins. After his success on that tour he went down under to play this Fall in Australia where he had finishes of T6, T24, and T24. Hickok is not the same player now as he was in 2016 on the Web.com Tour and the few appearances that he had on the PGA Tour. He has figured out what it takes to be successful and it appears he is willing to do it. His career is on an upward trajectory and 2018 will be a key year in that process. I thought we would have seen more of Hickok in 2018 where we could back him, but he didn’t get any invites until he qualified for the tour in the fall. On the Web.com Tour Hickok had a really big year and if you got some money in on him at the DAP Championship then congratulations to you. In the fall he was a bit disappointing with three missed cuts in five events, with a T23 and T29 in his other two. Too small of a sample size for me to say it was a definitive good or bad year for Hickok. He is certainly on my radar for 2019 however as he will get to play in a lot of events and I would not be surprised if we see him in contention for an outright win.